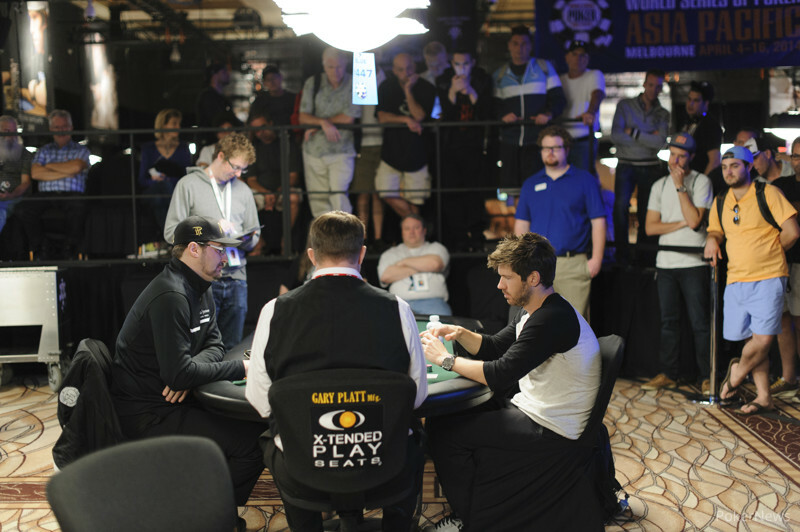 All eyes were on Phil Hellmuth on Day 11 of the 2013 World Series of Poker. The "Poker Brat" made a deep run on Day 2 of Event #16: $10,000 Heads-Up No-Limit Hold’em with hopes of winning his 14th bracelet, but he ultimately fell short in fifth place. One new WSOP champion was crowned on Saturday as Jonathan Taylor won Event #14: $1,500 No-Limit Hold'em ($454,424). The 31-year-old tournament grinder, playing in the WSOP for for the first time, added a bracelet to the three rings he won on the WSOP Circuit over the past year. After three days of poker in Event #14, Jonathan Taylor emerged as the champion. Taylor bested a field of 1,819 players to lock up not only his first career WSOP cash, but a bracelet and $454,424. Day 3 began with 14 players remaining and Hiren "Sunny" Patel Leading the way. 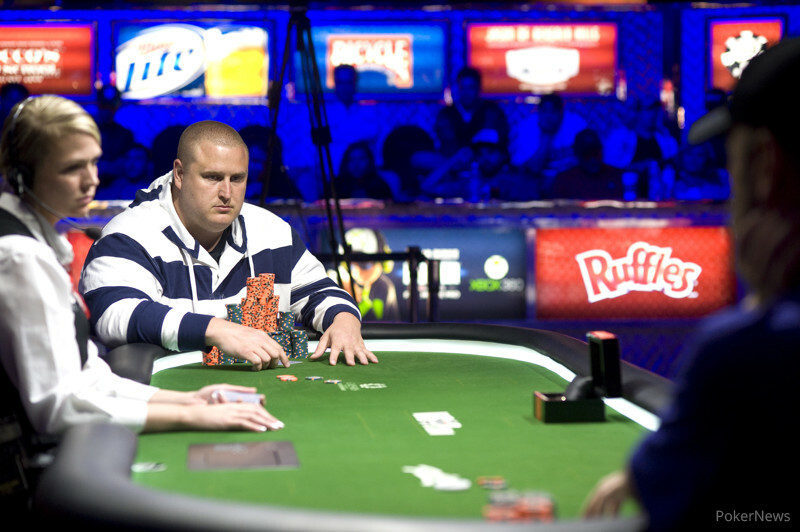 Taylor entered the day second in chips and sat back and watched the eliminations of Benjamin Dobson, Chris Hunichen, Morgan Machina, Daniel Paska, and Russell Crane before making it to the official final table. After the action moved over to the ESPN Final Table Arena, Joseph Pergola exited first after doubling up Patrick Kubat. Eventually, Pergola was all in against Patel and was eliminated in ninth place. The next to go was Dan Gannon, who tangled with Taylor on numerous occasions. On his last hand, Gannon moved his short stack all in after seeing a flop against Taylor. Taylor had king-high and it was good enough to send Gannon to the rail in eighth place. Jed Hoffman and Bohn then decided to play a huge flip, and Hoffman ended up on the losing end, sending him to the rail in seventh place. Going home in sixth was Kubat, who doubled up Hunter Frey and then ended up losing a coin flip to Patel. Tommy Vu then found himself in a cooler spot with top two pair against Taylor's set, eliminating him in fifth. Patel exited the tournament in fourth place. Taylor three-bet shoved from the big blind over Patel's open and was called quickly. Taylor was in another race and continued to finish on top, vaulting him into the chip lead wile sending Patel to the rail. Frey came into the final three third in chips and ended up leaving in third place. Frey shoved all in over Taylor's opening raise and was snap-called by Taylor's . The pair held up, and Taylor entered heads-up play with a 2-to-1 advantage over Bohn. Taylor took control of the match from the start, and Bohn was finally forced to call an all-in shove with . Taylor was holding the and was able to spike a on the turn to secure the victory. On Friday, 862 players entered Event #15: $1,500 H.O.R.S.E. Only 177 returned for Day 2, and after 10 hours of play only 21 survived. Mark Klecan leads the remaining field with 518,000 in chips. The remaining players will return Sunday to see who will walk away with the $258,960 first-place prize and a coveted World Series of Poker gold bracelet. Trailing Klecan at the top of the leaderboard are Eddie Blumenthal (443,000) and Scott Bohlman (382,000). All three have had a number of WSOP cashes, but they are each seeking their first bracelet. The chip leaders will face a fierce challenge from a number of formidable opponents still in the field. Among them are bracelet winners Owais Ahmed, Tom Scneider, Rep Porter, Dan Heimiller, Dan Kelly, Frankie O’Dell, and David Singer. Play resumes tomorrow at 1 p.m. in the Amazon Room at the Rio. PokerNews will be there to bring you all the action as the players determine a winner. A field of 162 of the best heads-up players in the world has been trimmed to four. On Day 2 of the $10,000 Heads-Up No-Limit Hold’em, 32 players showed up with hopes of winning three matches to advance to the semifinals of this prestigious event. Phil Hellmuth was among the eight who reached the quarterfinals, but Mark Radoja disposed of the "Poker Brat" in front of a large crowd in the Amazon Room. Joining Radoja in the semifinals will be Justin Bonomo, Don Nguyen, and high-stakes heads-up online specialist Ben "Sauce123" Sulsky. Each player who won their first match on Saturday was guaranteed a payday of at least $26,237. Among the winners were Marc-Andre Ladouceur, Melanie Weisner, Craig Bergeron, Bryan Pellegrino, Davidi Kitai, Warwick Mirzikinian, and Alexander Venovski. The round of 16 featured on the best matches of the tournament so far as Phil Galfond went to battle against Sulsky. After several double-ups for both players, Galfond finally got it all in before the flop holding against Sulsky's . Neither player connected on the board and Sulsky's king-high punched his ticket to the round of eight. In the final round of the day, Bonomo made quick work of Russell Rosenblum, and Nguyen did the same to Sean Winter. Randy Lew fell to fellow online superstar Sulsky. The final match was between Hellmuth and Radoja. The rail grew a few spectators deep as Hellmuth's colorful table talk and demeanor grew more and more bombastic. Radoja continuously applied pressure against Hellmuth, showing several bluffs along the way. In the end, Radoja shipped all in with and Hellmuth called for his tournament life with . Radoja's hand held and he locked up the final seat in the semifinals, defeating the 13-time WSOP bracelet winner in the process. Play will resume for the semifinals at 2 p.m. PST on Sunday, so be sure to stay tuned to PokerNews.com as this exciting event reaches its conclusion. Day 1 of Event #17 began with 2,105 runners, creating a top prize of $518,755. After 10 levels on the felt, only 226 advanced to Day 2, and the money bubble is looming entering Day 3. Only the top 216 places will earn some cash, meaning 10 players will leave empty-handed on Sunday. The chip leader going into Day 2 will be Levon Katchatryan, who bagged up a whopping 176,100 in chips. His closest competitors are Kurt Jewell (131,200), Michael Borovetz (115,500), and Matt Jarvis (101,300). Other notables returning on Sunday will be Matt Matros (96,000), Amnon Filippi (67,300), Joe Cada (60,000), Vanessa Selbst (61,300), David Sklansky (54,000), and Jerry Wong (35,000). Among those unable to survive on Day 1 were Phil Ivey, Liv Boeree, Eric Baldwin, Paul Volpe, Carlos Mortensen, Allen Kessler, Mike Sexton, and Annette Oberstad. The action will resume at 1 p.m. PST on Sunday, and the plan is to play another 10 levels or until a final table is reached, whichever comes first. Follow PokerNews for continuing coverage of Event #17. Day 12 of the 2013 World Series of Poker will feature five events on Sunday. Winners are scheduled to be crowned in Event #15: $1,500 H.O.R.S.E. and Event #16: $10,000 Heads-Up No-Limit Hold’em. Event #17: $1,500 No-Limit Hold'em will likely play down to a final table, while Event #18: $1,000 No-Limit Hold'em and Event #19: $5,000 Pot-Limit Hold'em will get underway. 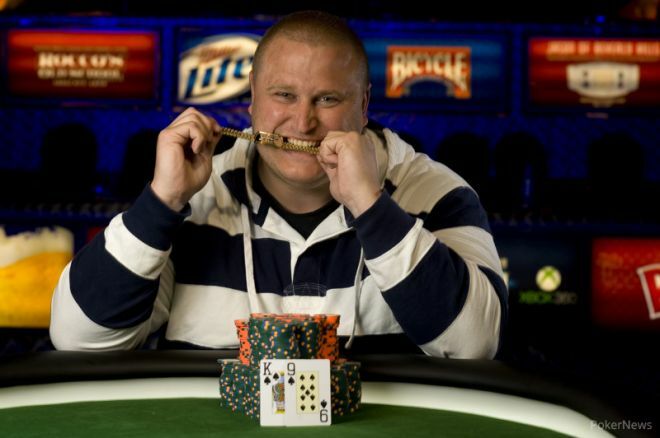 Jonathan Taylor is the latest bracelet winner of the 2013 World Series of Poker. After he took down Event #14, Kristy Arnett spoke to him about his win.